The next morning I get a call from Scott telling me he and Stiles are going to pick me up to look at a dead body that was found in Derek&apos;s yard. I quickly get ready and wait for a text from Scott. After s while he texts me and I leave the house and hop in the back of Stiles&apos;s beaten up baby blue jeep. "Why are you picking me up?" I ask irritated that they woke me up from my sleep. "Because. W have to show you something." "I don&apos;t care if its a dead body. I don&apos;t even want to know. Are we even sure Derek killed this girl?" "Abigail! The body was found on his property!" "So, what if the real killer buried the body in Derek&apos;s yard to make it look like Derek kills the girl. Or she could just be a family member. They&apos;re both werewolves." They don&apos;t answer me. They just start talking to each other not even acknowledging me. We finally get to Derek&apos;s house and we go over to the hole. There was in fact the top half of q girl. She was obviously dead. Derek couldn&apos;t have killed her. Why would he feel the need to do so. I see Stiles stuff something that looks like a flower on a rope into his backpack. "I called the police," Scott says walking back over to us from the woods. Sure enough a few minutes later sheriff Stilinski arrives with a few other cops. One of them goes into Derek&apos;s house armed and ready for Derek to attack. This all seems to real. 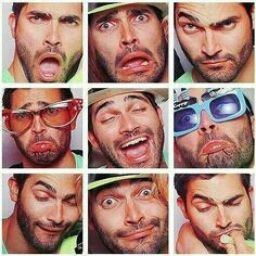 Why would Derek even think about killing someone. He always seemed so nice when I was with him. Soon Derek is escorted out of his house in handcuffs. He glances at Scott and me and a shiver goes down my spine. The fact that I was apart of this make me weak in the knees. Scott and I watch Derek get lowered into the cop car and then we see a familiar body walk over and get into the car. Oh god. Not Stiles. I turn to Scott. "Do you really think he did it?" "Well, the evidence suggest otherwise." "Yeah, but don&apos;t you think we&apos;re missing out on something. Like there&apos;s a bigger piece of the puzzle we have to figure out." Scott stands there thinking for a minute. "Maybe," he furrows his eyebrows. Before I can say anything else Stiles is pulled out of the car by his dad. "Alright," Stiles says joining Scott and I, "we should go." We all walk over to Stile&apos;s jeep and I hop into the back. Scott and I look up wolfsbane while Stiles drives me home. "I can&apos;t find anything on wolfsbane being used for burial," I say. "Me either," Scott says after me. "Just keep looking. Maybe its like a ritual or something, like maybe they bury you as a wolf. Or maybe it&apos;s like a special skill you know, like something you have to learn." "I&apos;ll put it on my to-do list, right underneath figuring out how the hell I&apos;m playing this game tonight." 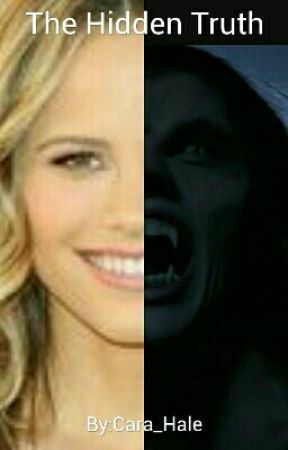 "Maybe its different for girl werewolves." I don&apos;t know why but for some reason I get the feeling like I want to climb over the seat and claw Stiles&apos;s eyes out. "Okay! Stop it!" Scott and I yell together.